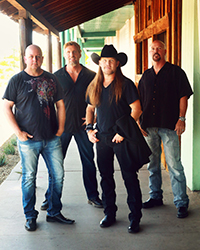 After a nearly 30-year history, this hard-working, homegrown band has earned the reputation as one of the premier country rock entertainment groups in the West and continues to keep their high standard. Their scope of performing ability is truly amazing. They can play just about anything, from Hank Williams to Pink Floyd to their original written songs.